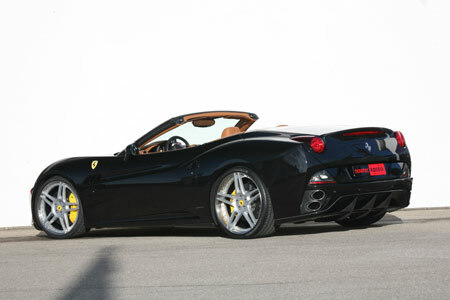 Who better than Ferrari specialist Novitec Rosso to optimize the California convertible! Actually the car is so good in its original state that this job is more of a refinement than heavy tuning. 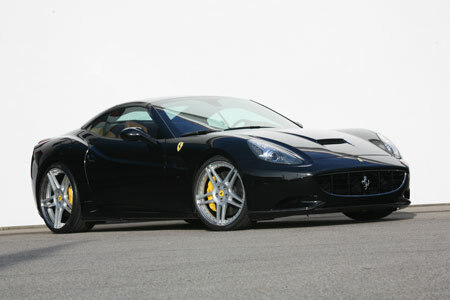 Novitec adds a bit more power, a few styling tweaks, upgrades the suspension and bolt some huge rims on the car! With some adjustments in the car’s ECU and installing a new sport exhaust system, the tuners managed to extract 40 more horsepower out of the California’s V8. The aerodynamics of the California is also enhanced thanks to a carbon fiber front spoiler and a redesigned rear diffuser, in which quad vertical tailpipes are integrated. And as for the chassis tuning, Novitec provides you with sport suspension which lowers the car by 4 inches. This system also has a hydraulic lift system on the front axle for going through the speed humps safely! A set of NF3 Novitec wheels, 21-inch front and 22-inch rear – wrapped in 255/30 ZR 21 and 315/25 ZR 22 tires, complete this classy package.